It's becoming standard for us to show you a new favourite coffee shop after we've visited a new city, it's always on our top priorities to find, but Barcelona's pick is far from standard. 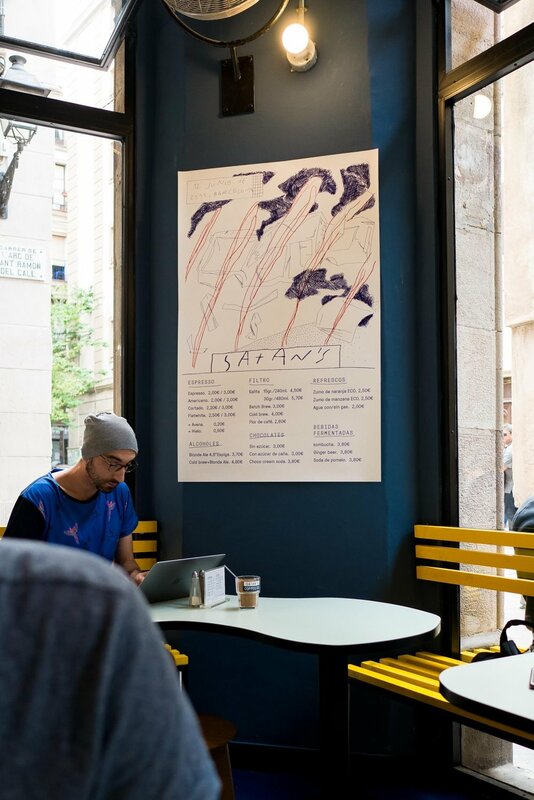 After searching the internet for speciality coffee shops in Barcelona (not the ones that you're asked if you want to visit whilst walking down La Rambla mind...) we came across Satan's Coffee Corner, Barcelona's original speciality coffee shop promising hellishly good coffee, snacks, drinks and merch with a punk spirit since 2012. Pair that with their awesome branding and a sneaky peek at their menu and they had us hook, line and sinker. Their menu is what you'd expect from any good coffee shop full of espressos, cortados, Americanos, flat whites, kalita, batch brew and cold brew. After spotting all their good kit and watching them serve up passers by through the window hatch we knew they knew their stuff and decided on a good old big mug batch brew which was fruity and light, perfect for your mornings caffeine fix. The menu is reasonably extensive serving all sorts of cakes, cereals, sandwiches and salads but we'd walked 40 minutes for one thing in particular (besides the good coffee obviously).... and that's their Japanese breakfasts with homemade kimchi. We both opted for the Choushoku (vegetable or animal protein, with pickles, poached egg and rice bowl) which got us a fist pump from the guy serving us, instantly confirming we made the right choice. Served in authentic Japanese bowls spread across the table, you could easily sit and saviour this perfectly created breakfast all morning, it's almost too pretty to eat! Every element added so much to the breakfast and nothing felt like it had been thrown in without thought. 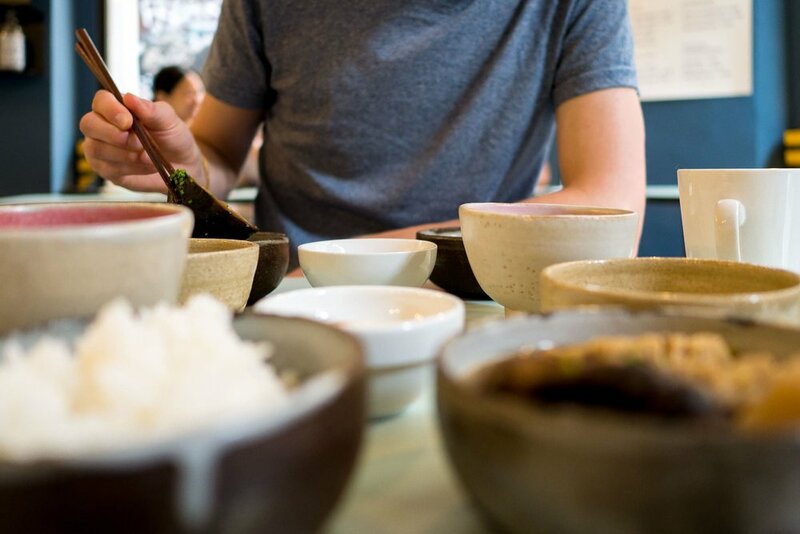 The broth in the protein bowl was insanely moreish, and the sesame cucumbers so refreshing. 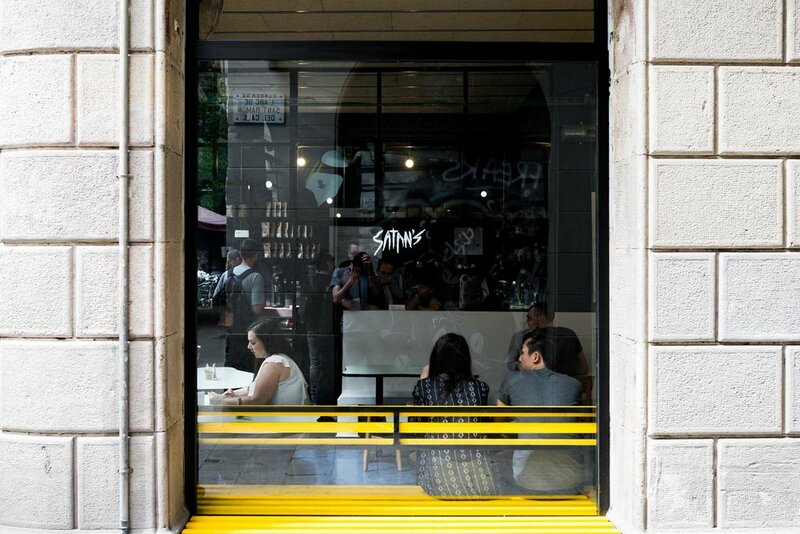 Their interiors are pretty artsy but without an air of pretentiousness, expect to find dark walls, cool tiled tables, bright yellow benches and big windows looking out into Barcelona's gothic quarter. So if coffee and Japanese food is your thing, Satan's in the place to be. Fact.